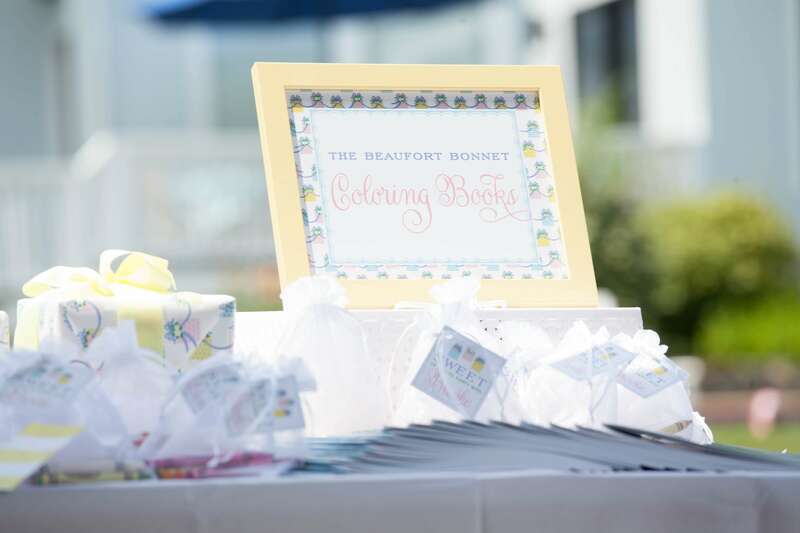 Well hold on to your bonnets because if you are a fan of the southern based The Beaufort Bonnet Company, then you are in for such a treat! 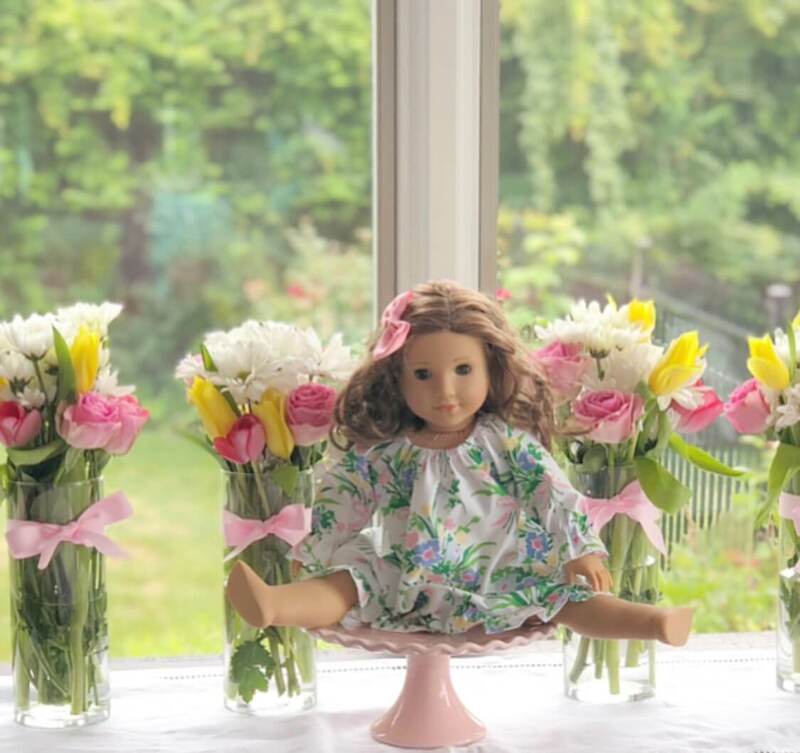 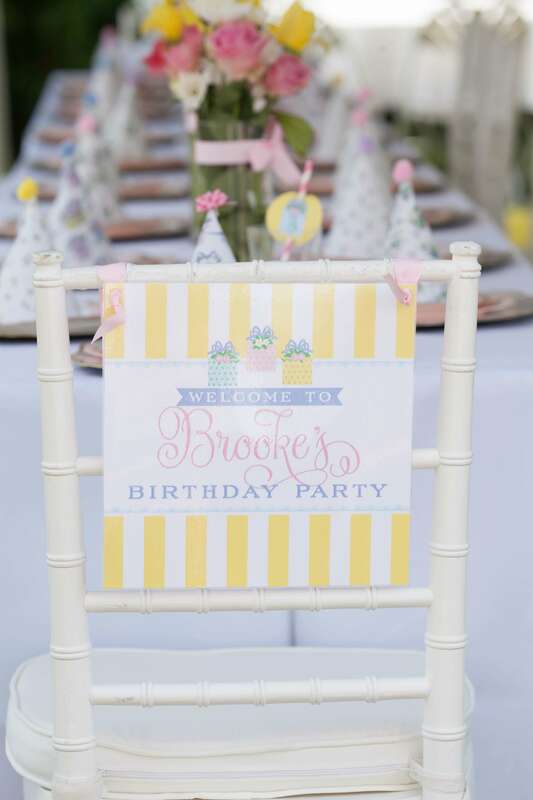 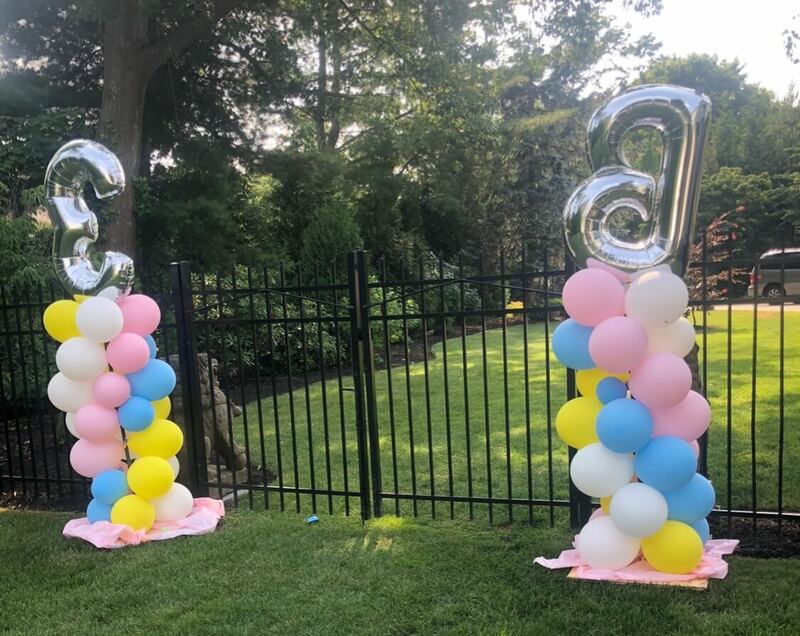 Brooke’s mom wanted to throw Brooke a “Everyday is a Gift” birthday, based on the company’s dress! 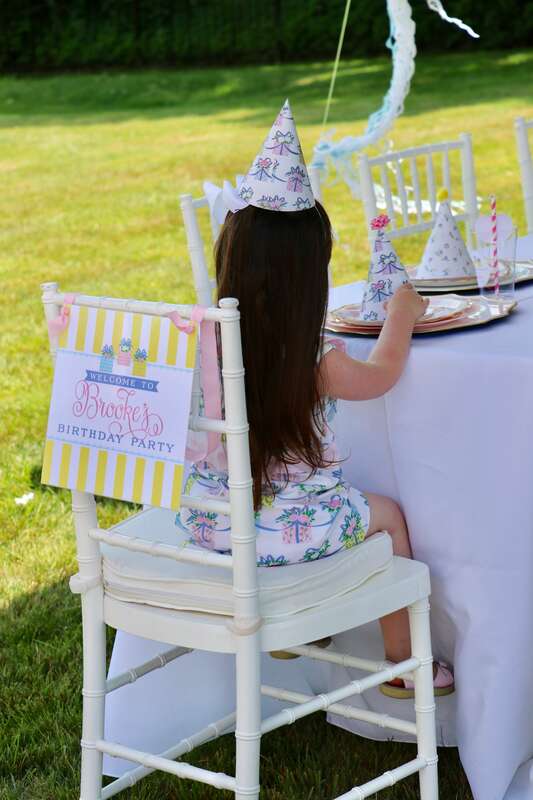 Who doesn’t want to match their party?! 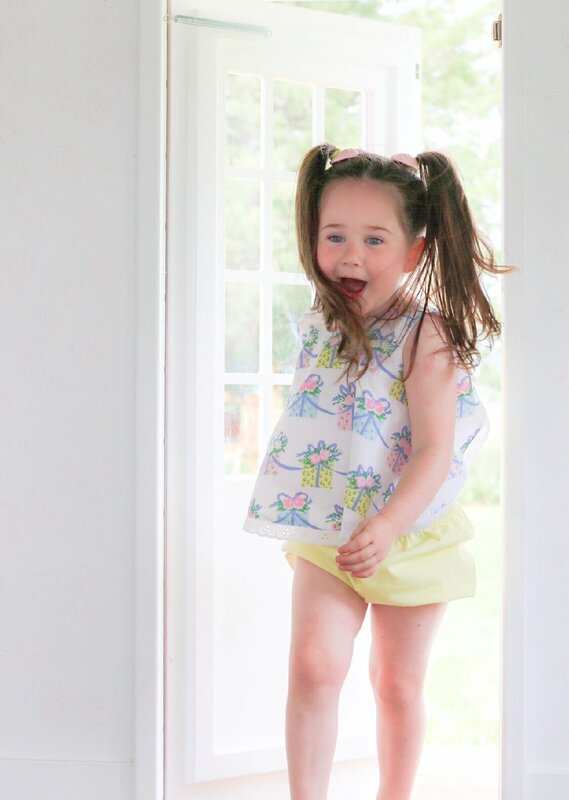 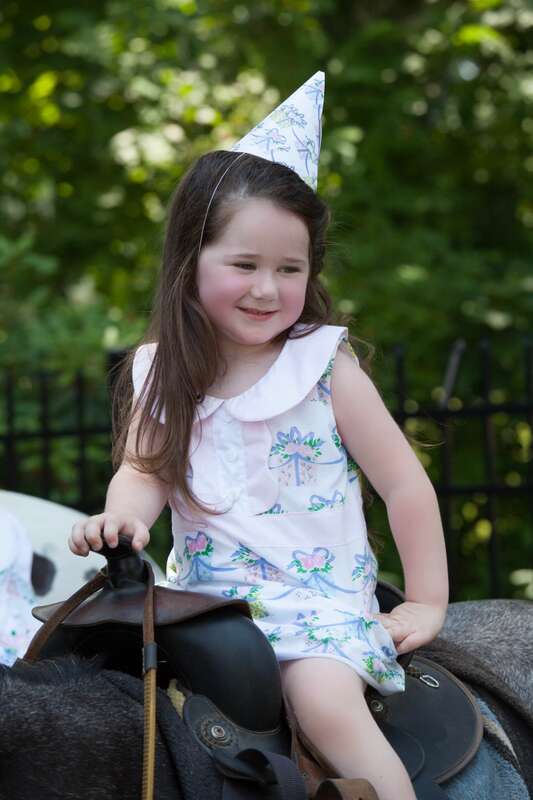 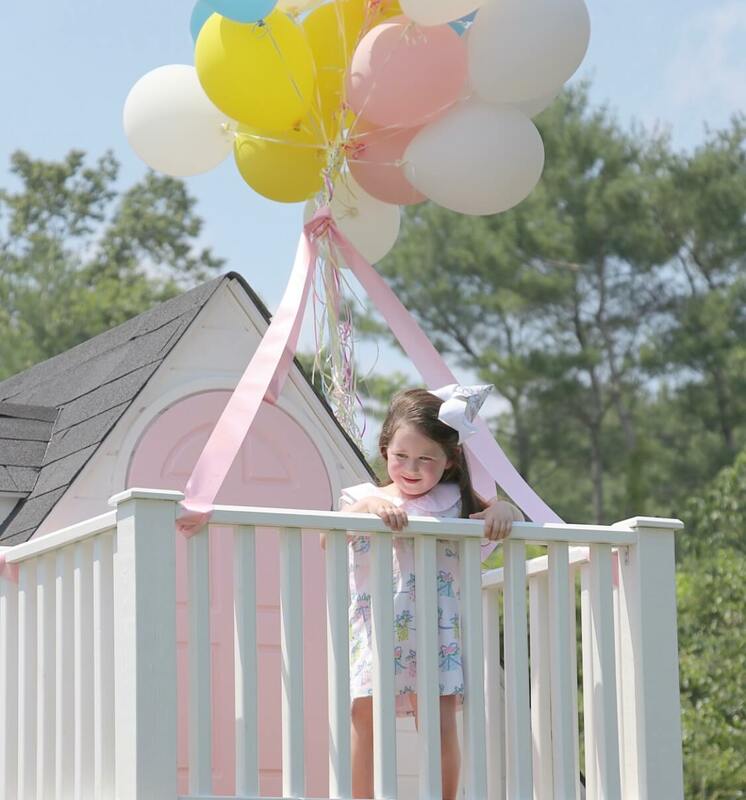 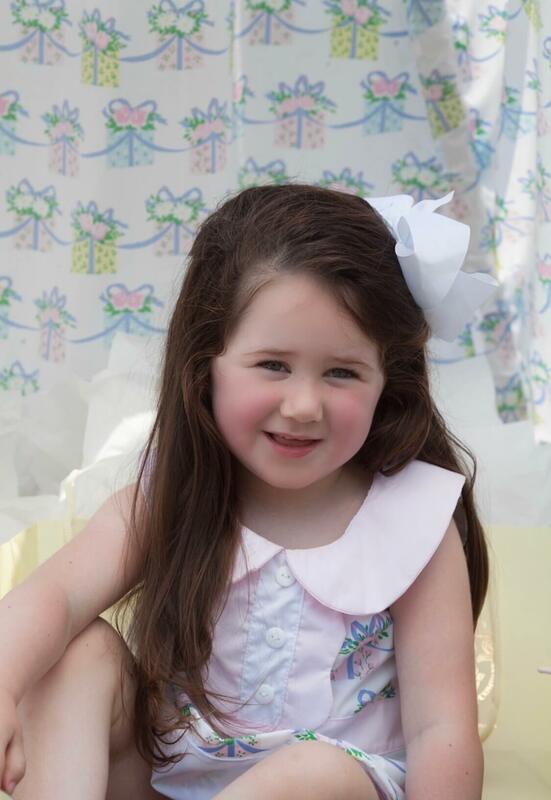 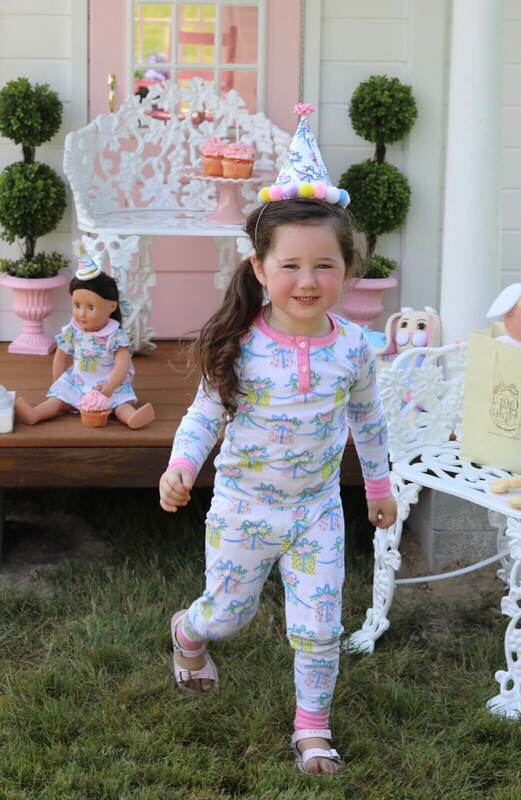 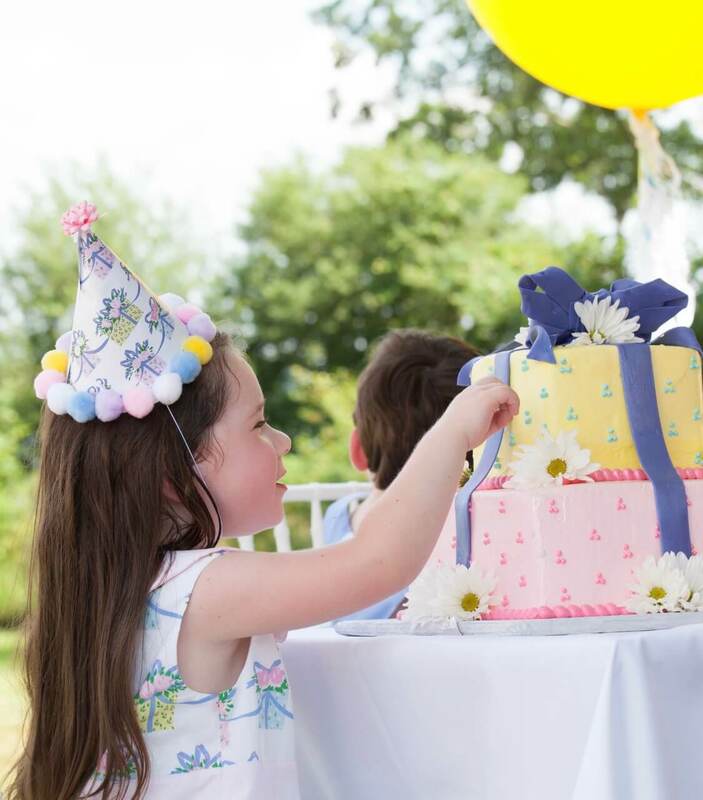 Of course it is the perfect party dress because the pattern is pink, blue, and yellow presents, all topped with bows! 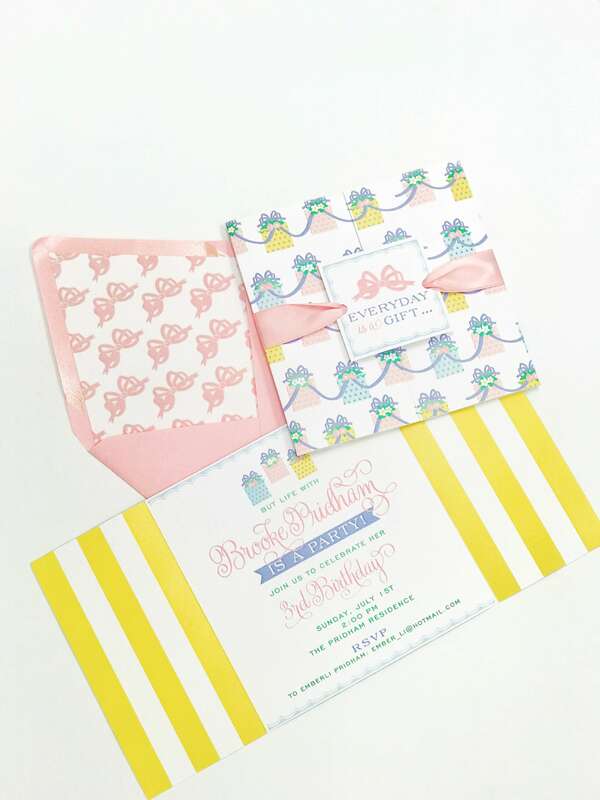 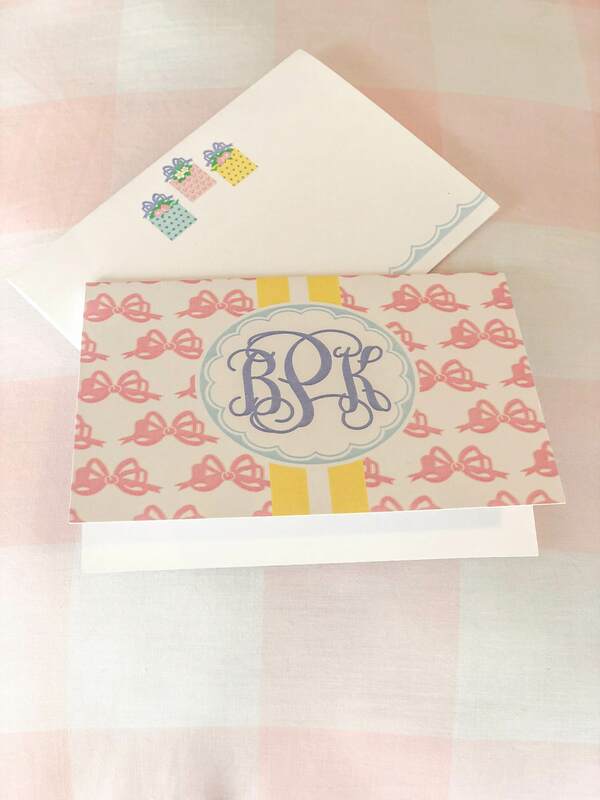 For Brooke’s invitations, we designed a gatefold card with a belly band and recreated the pattern! 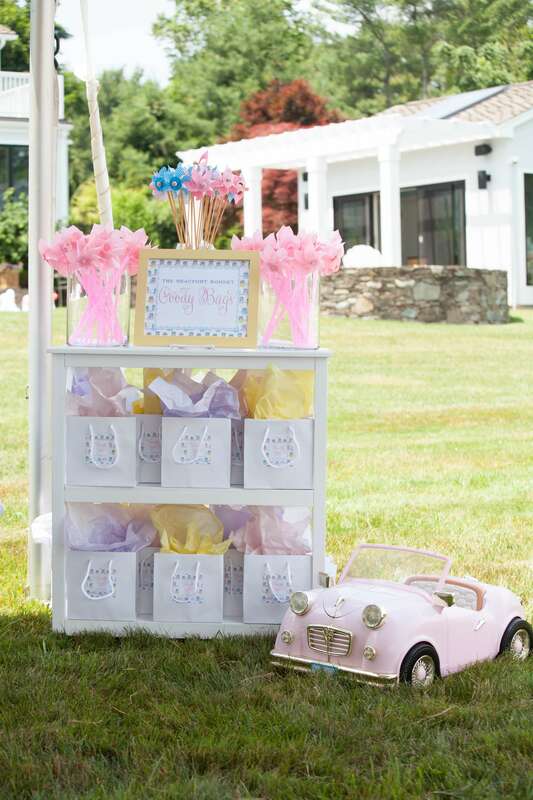 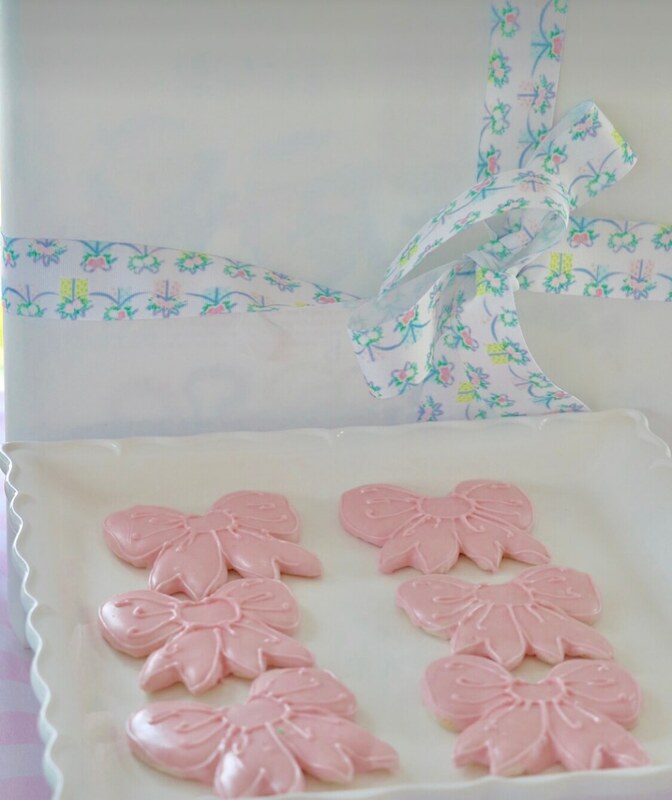 Each invitation was wrapped in a pink satin bow with a seal that read “everyday is a gift”. 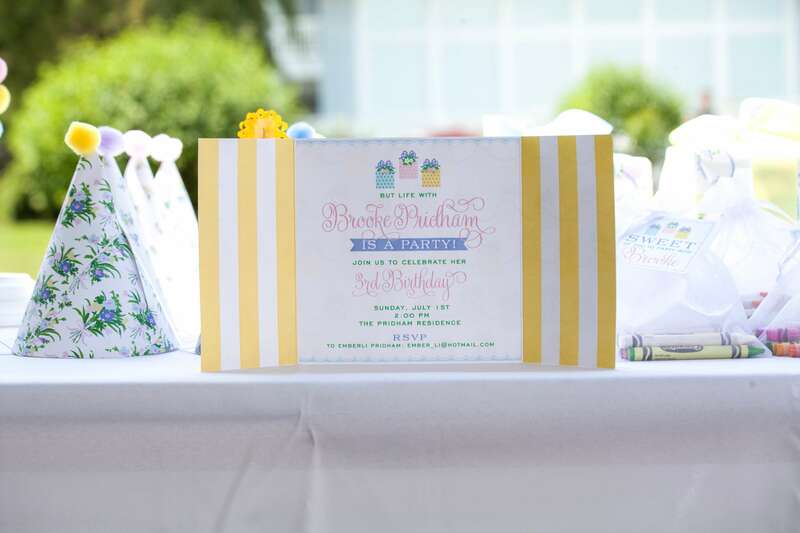 We also created gift wrap in the pattern, as well as custom goodie bags with stickers! 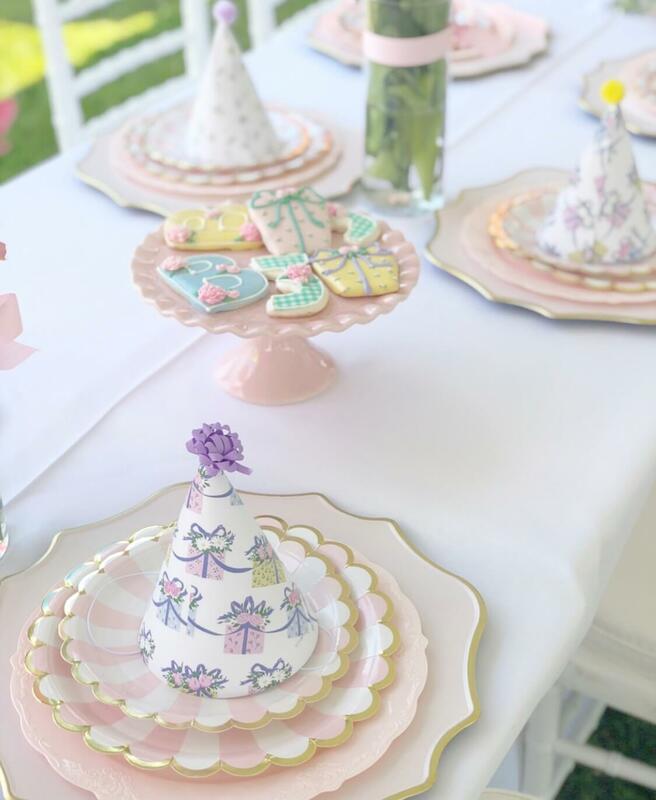 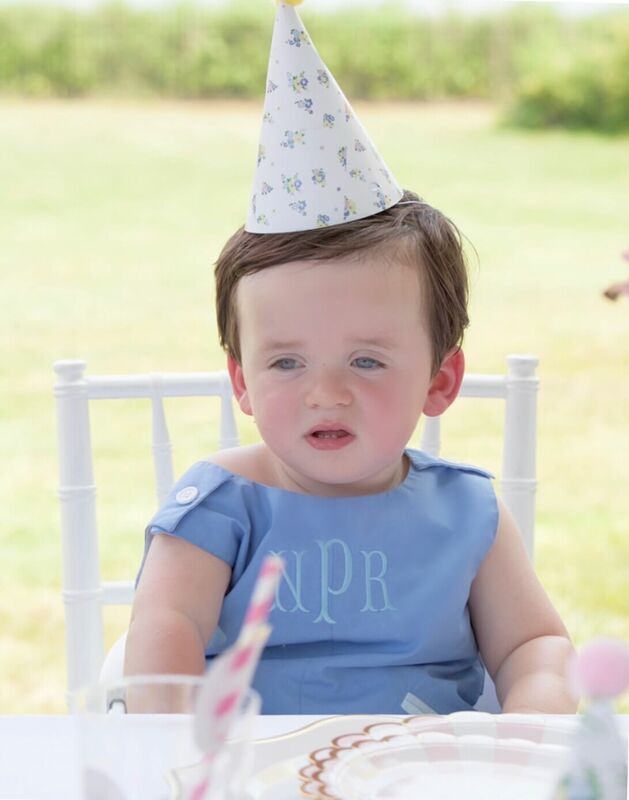 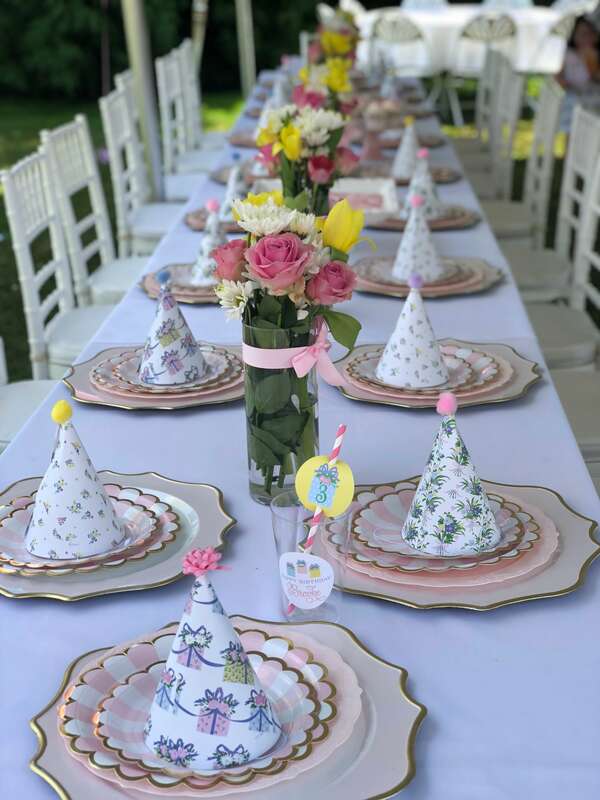 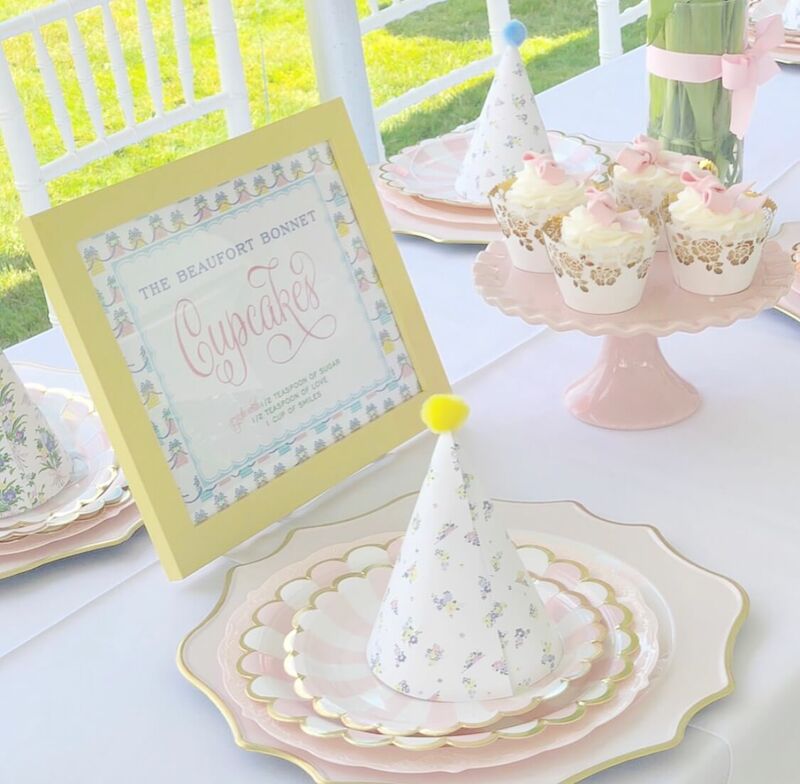 Cake was served with custom napkins we designed to coordinate with the invitations and at each child’s place setting they had cups with some of our adorable custom straws with monogrammed tags! 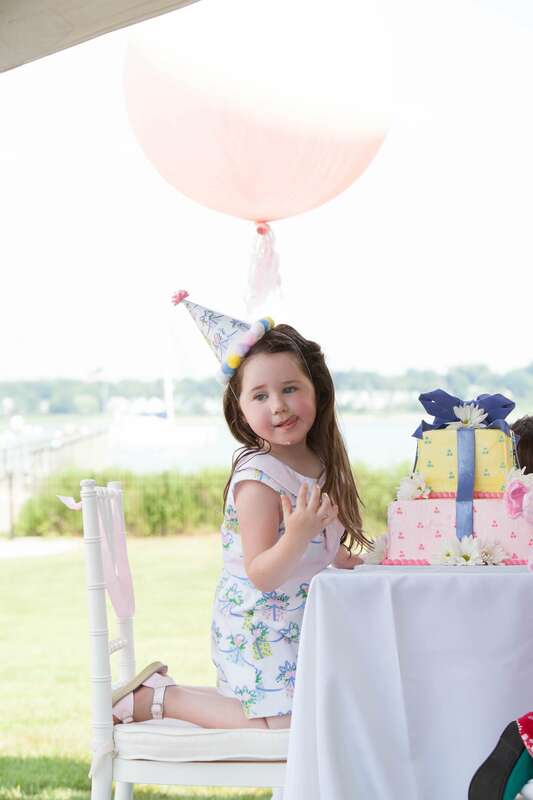 We absolutely adore creating things from client’s inspiration and this dress was no exception! 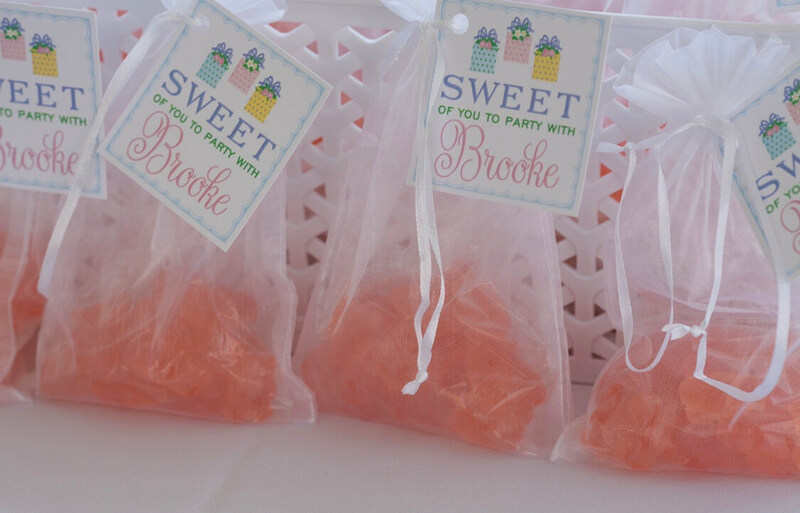 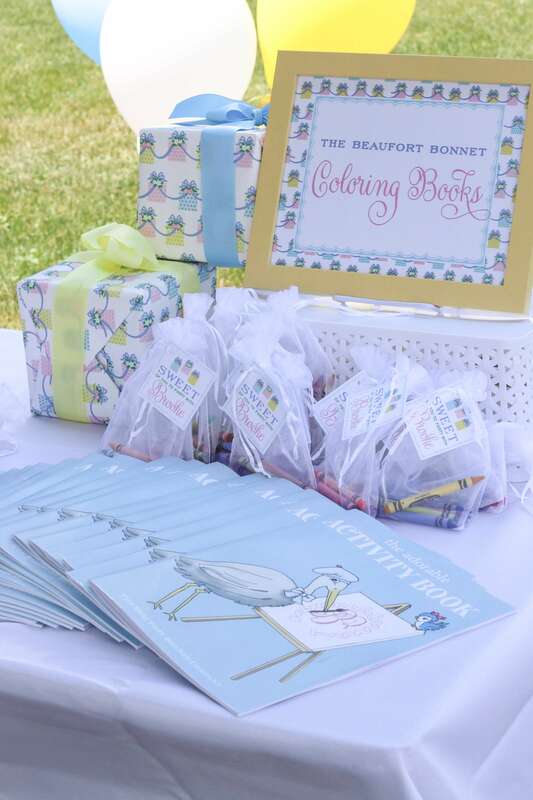 The kids all took home goodies which were tied with our custom favor tags reading, “sweet of you to join us!”. 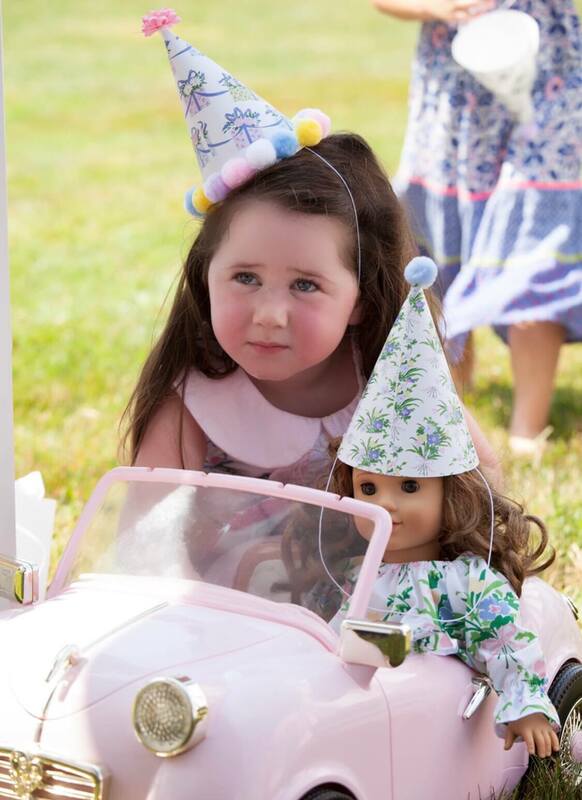 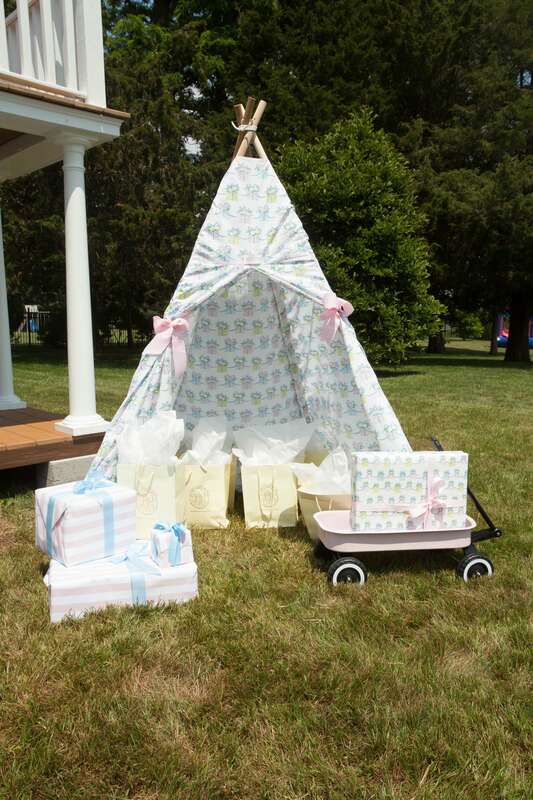 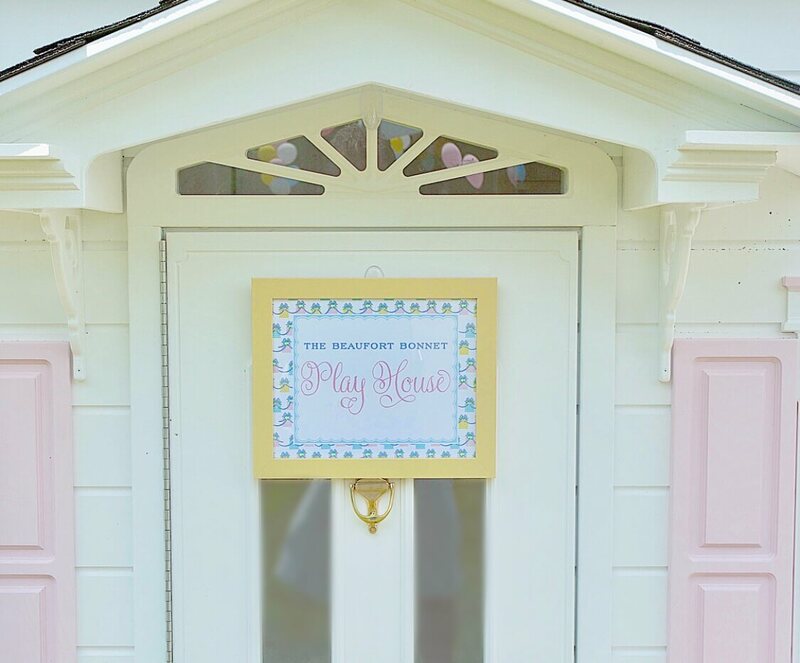 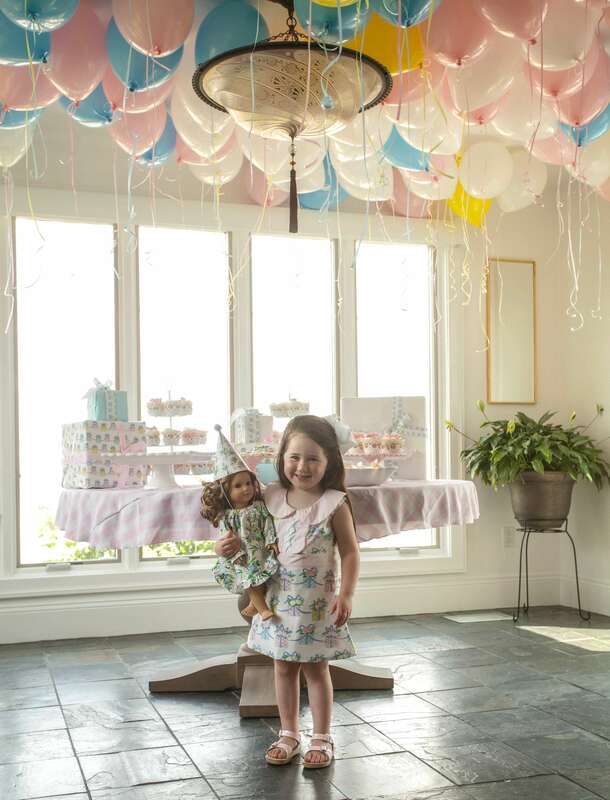 The birthday girl received a playhouse and even a Beaufort Bonnet tee pee which of course was also in the “Everyday is a Gift” pattern! 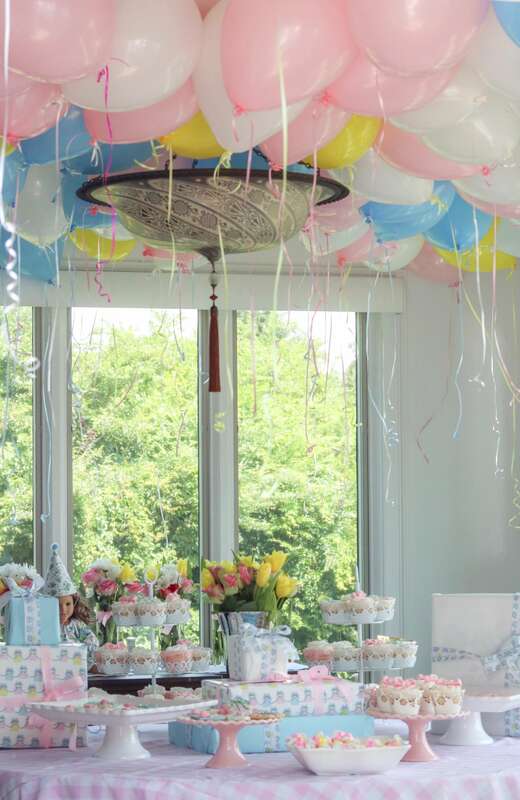 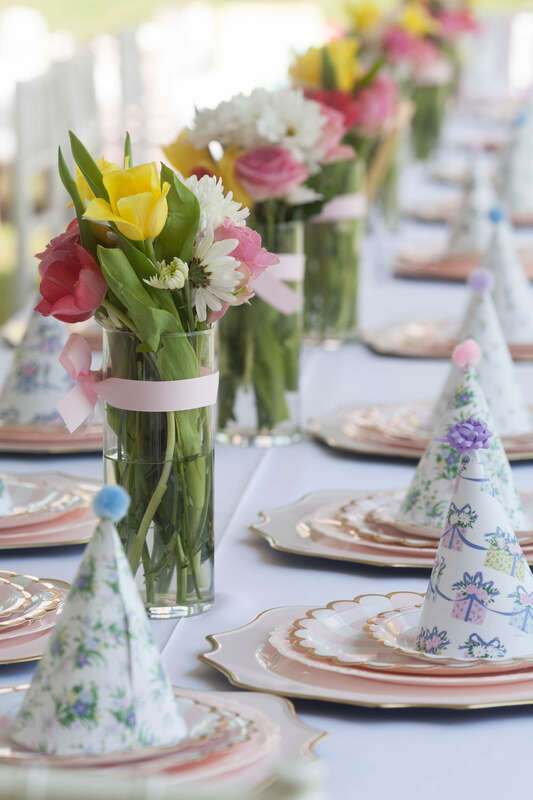 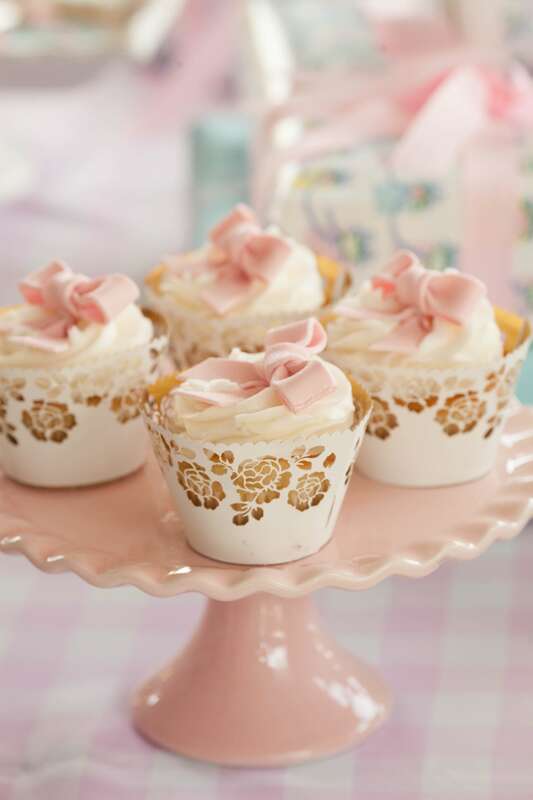 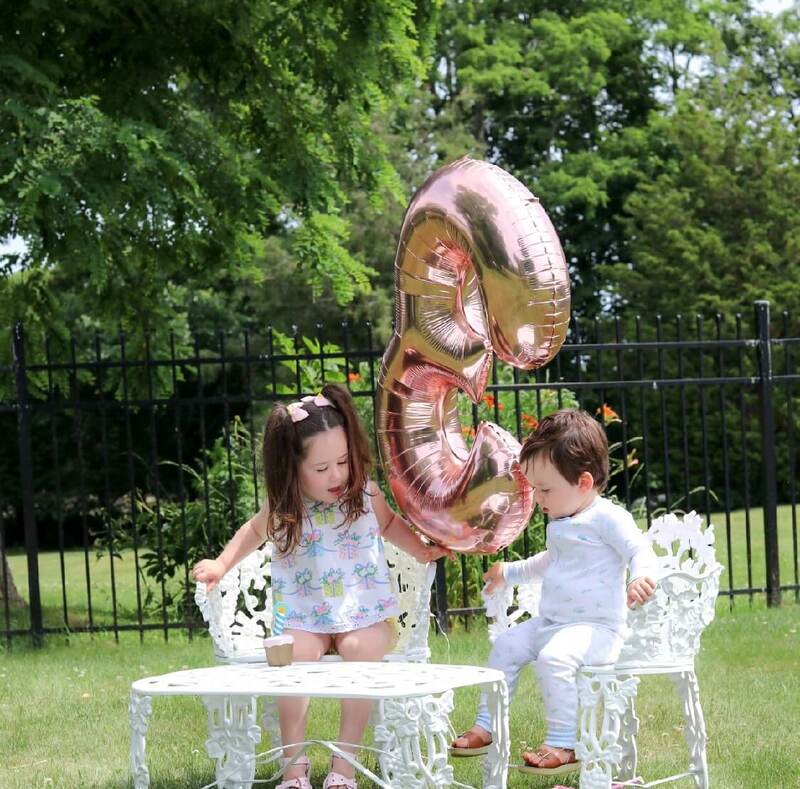 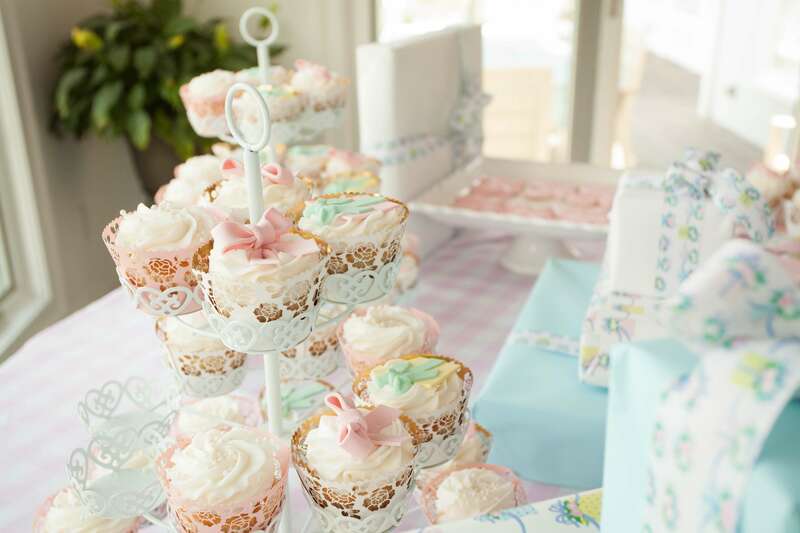 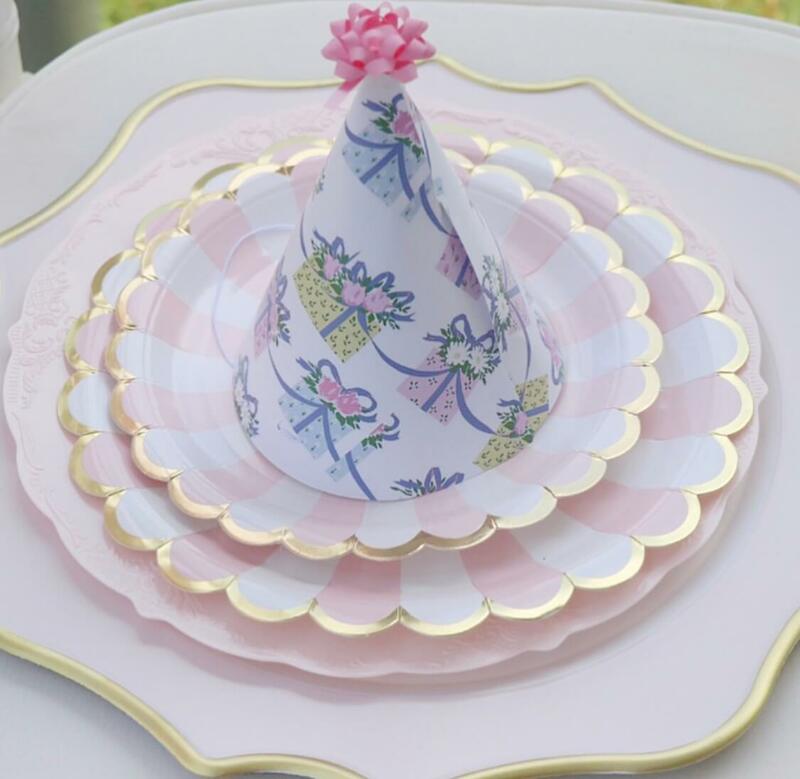 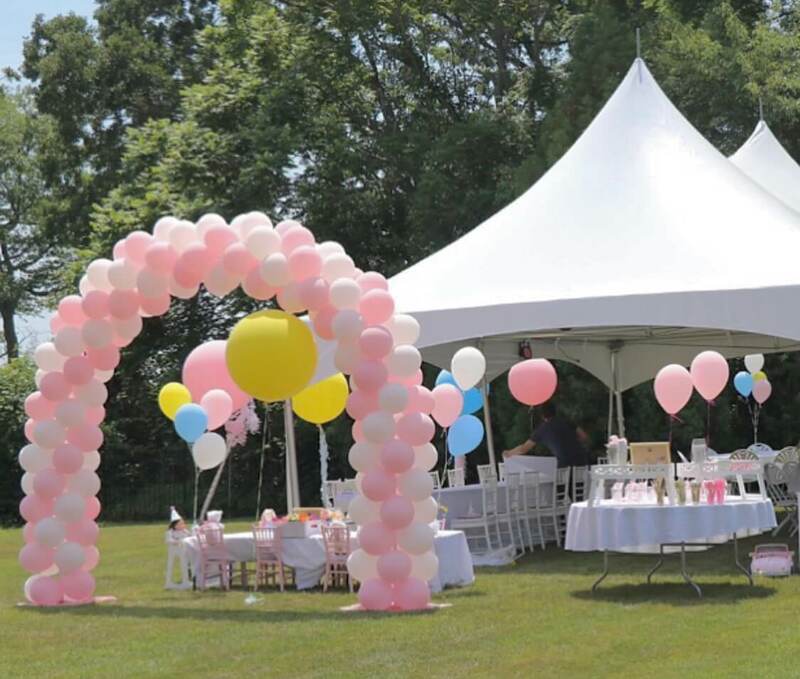 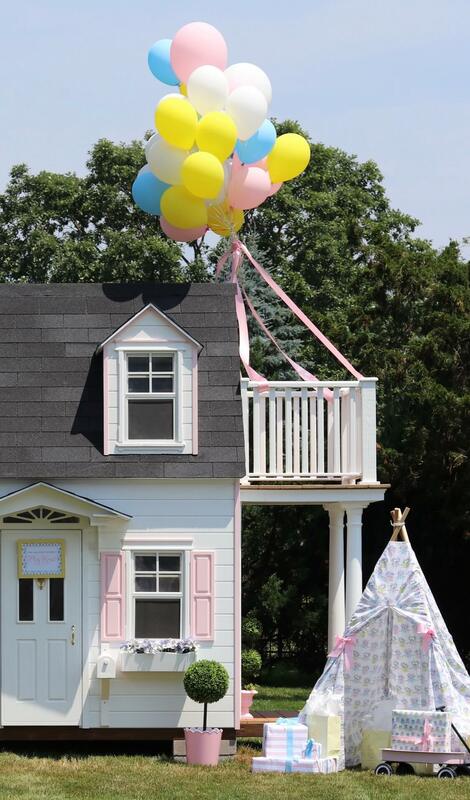 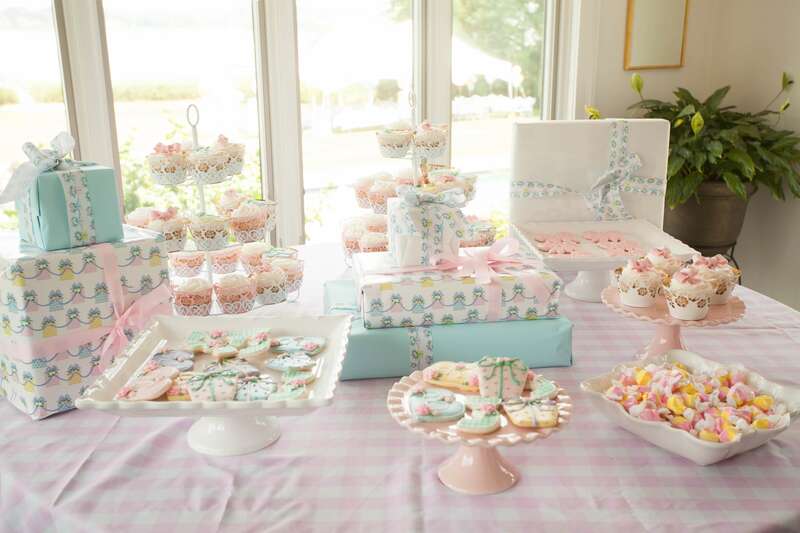 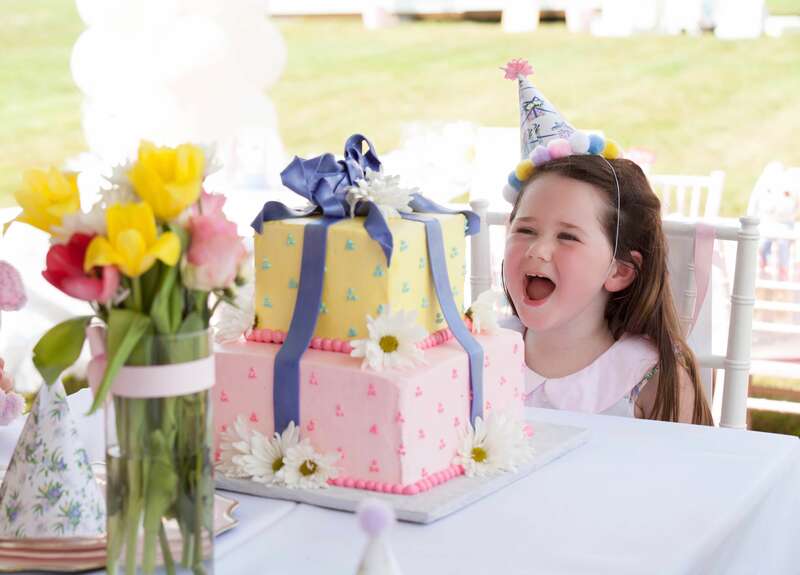 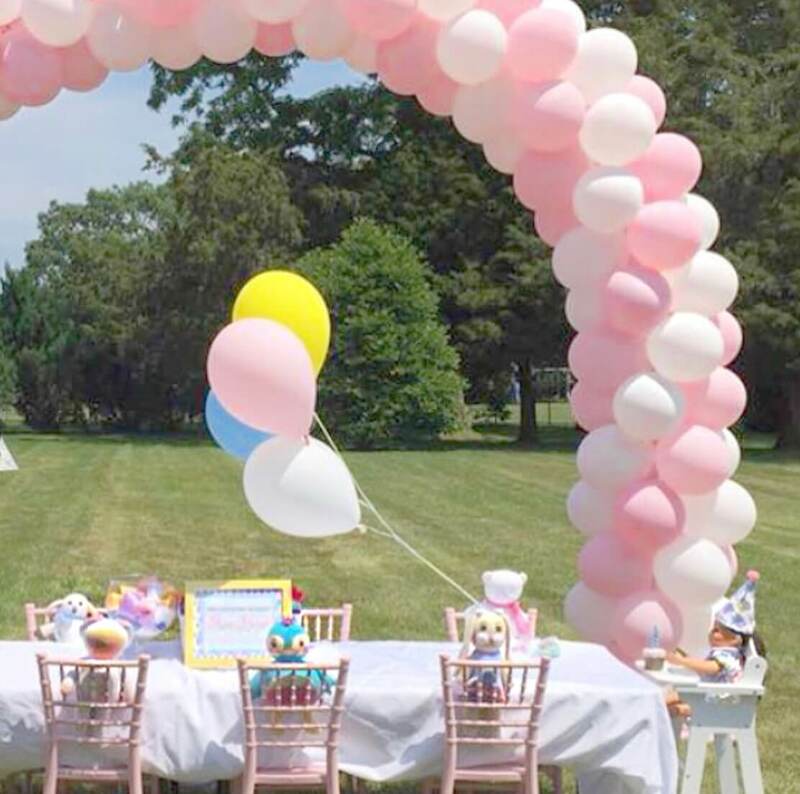 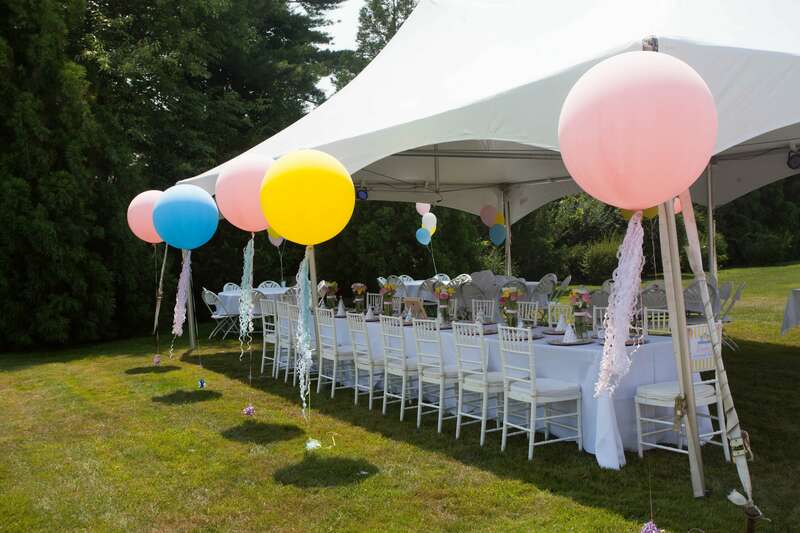 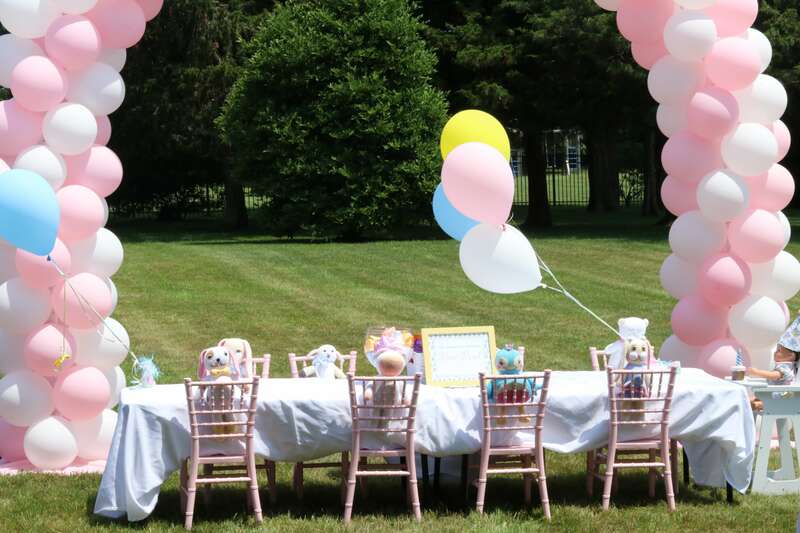 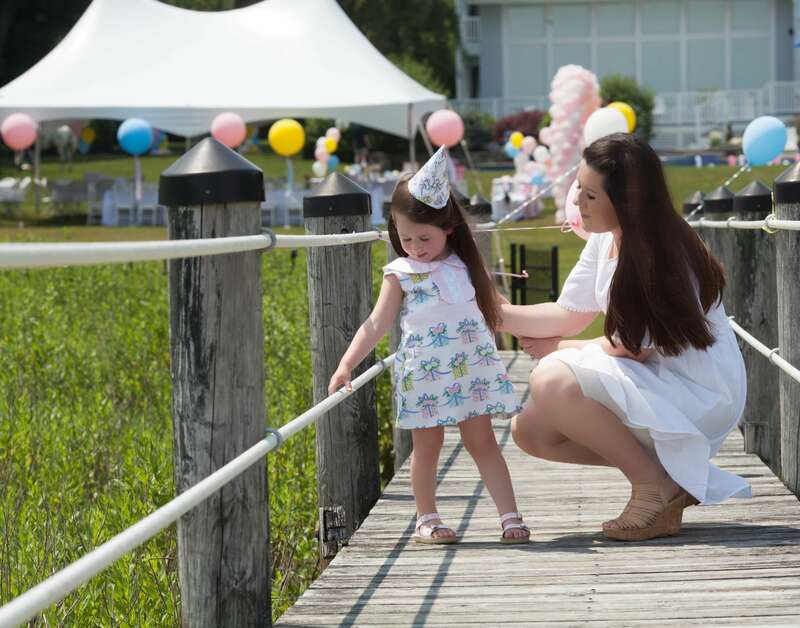 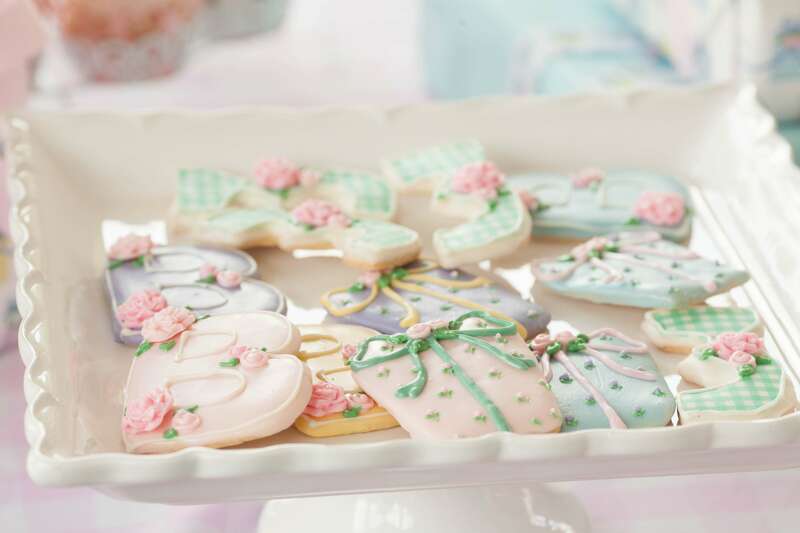 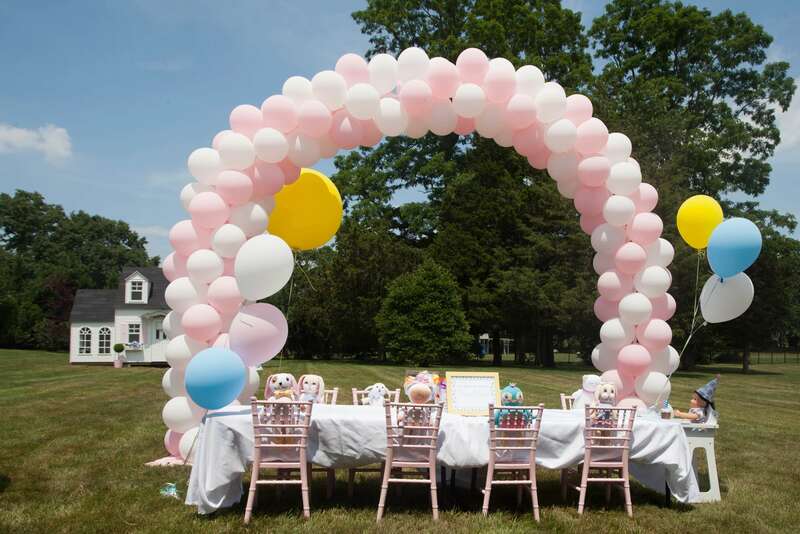 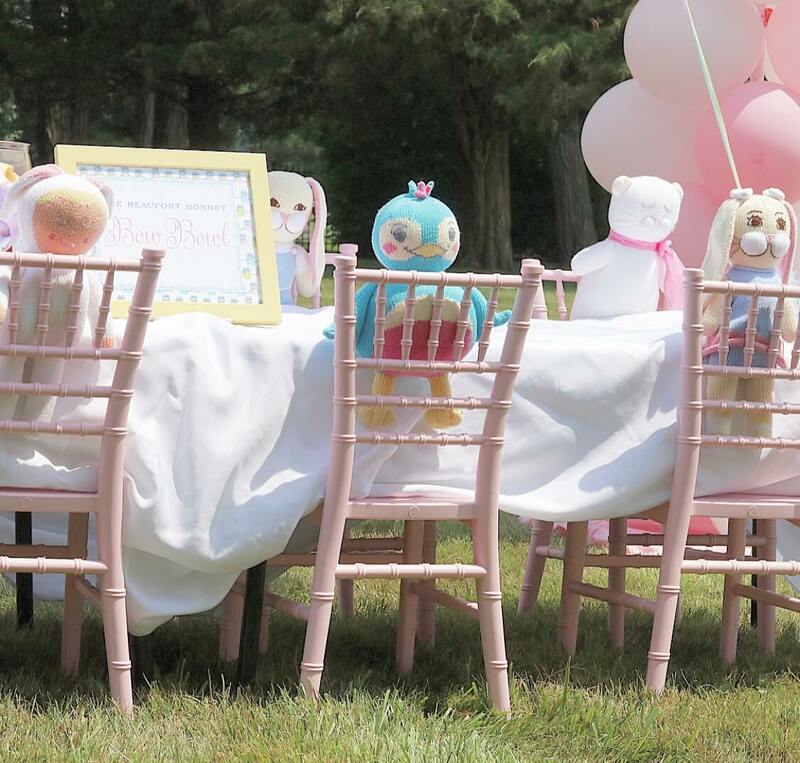 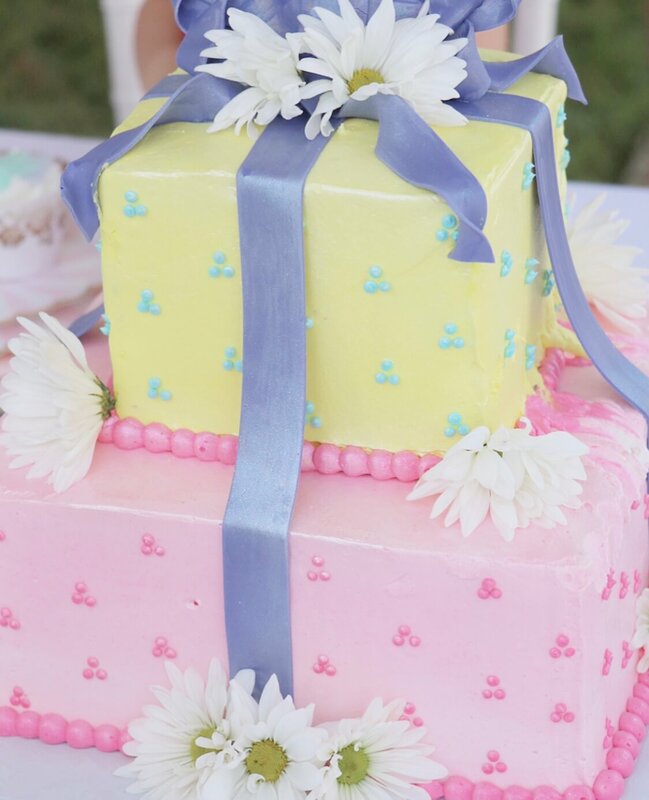 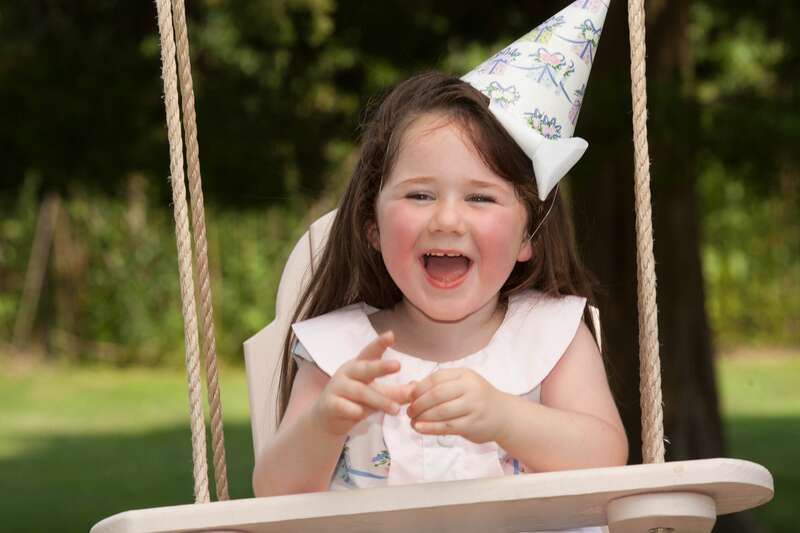 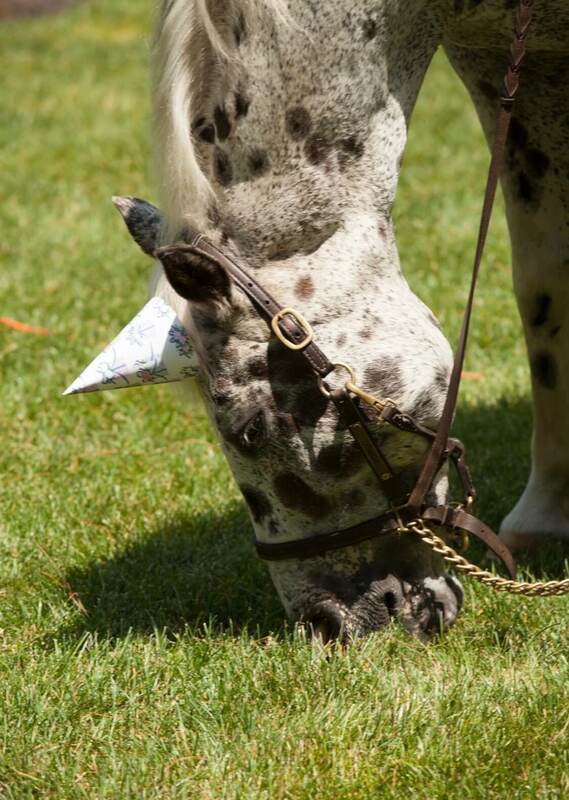 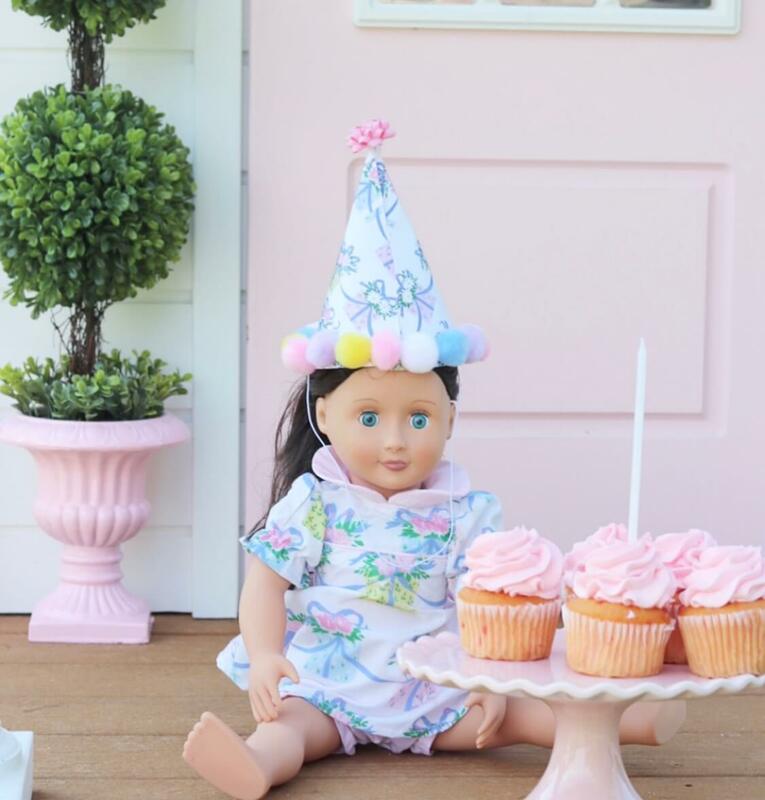 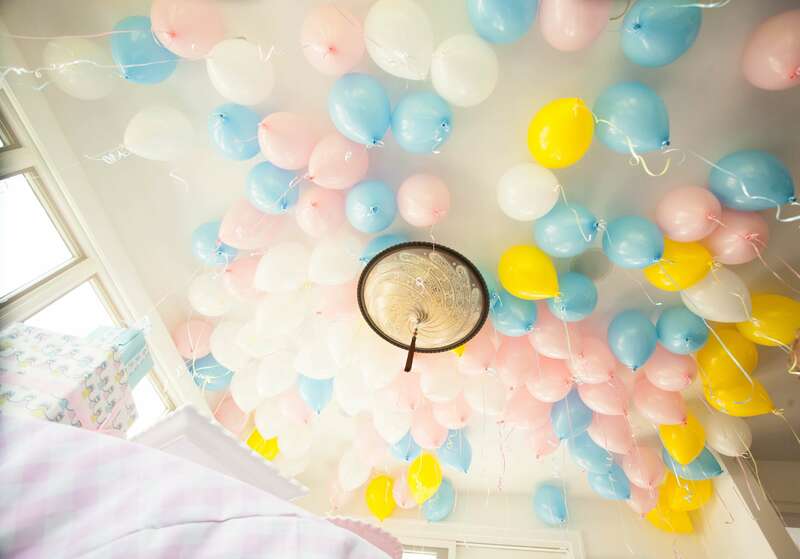 Get ready to unwrap one of the cutest, sweetest birthdays of all time! 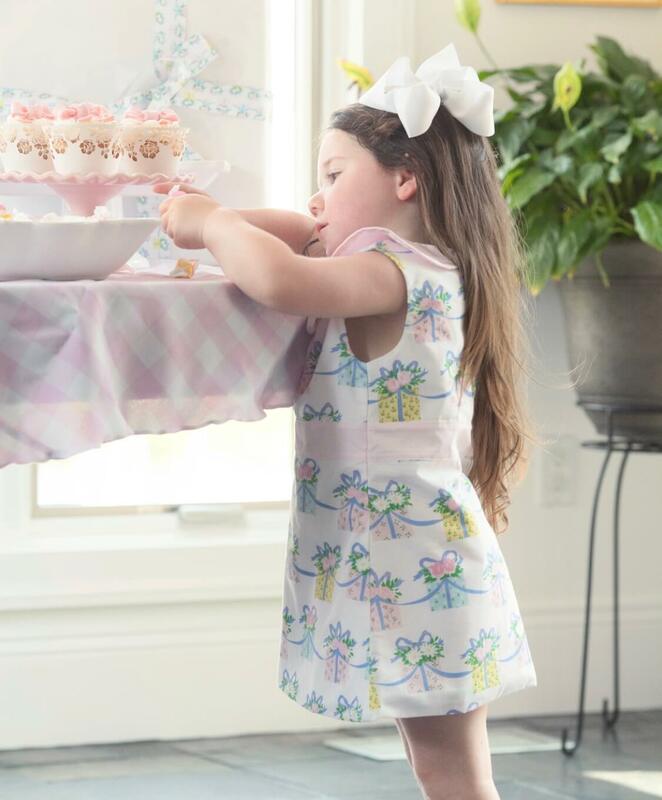 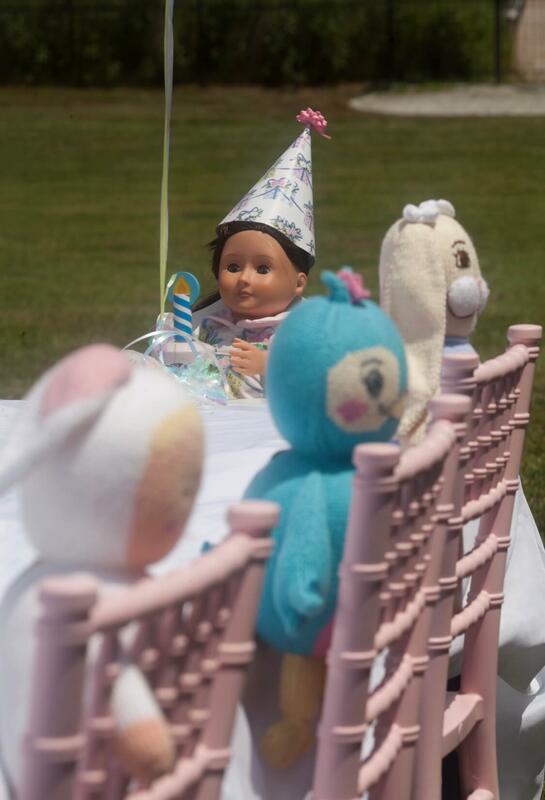 And If you are looking to recreate this party, you can get your Everyday is a Gift dress here!